What if all cities were furnished with objects that combine design, social life and respect for the environment? 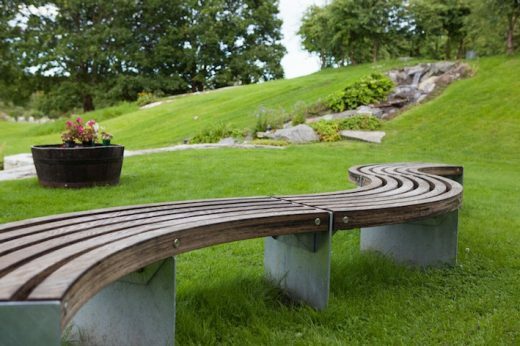 A bench could become a chaise longue where people of all backgrounds and opinions can interchange experiences; planters, bike racks or litter bins in lively colors could be put together in historical contexts, and also, tables and chairs encouraging interaction with friends and enjoying the outdoor air just like at the park. For the first time at the Milano Design Week, Vestre, Norway’s historical market leader in the production of furniture for towns, parks and outdoor public spaces, presented “Nordic Life in Urban Spaces”, an installation at Opificio 31 that opened the door to a culture – still by and large limited to the Nordics – that shares design and sociability, urban regeneration and collective spaces. 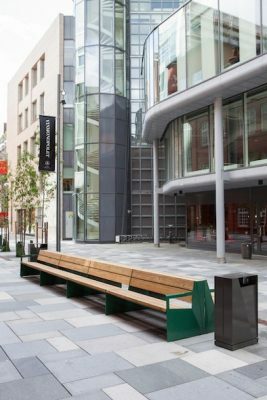 An innovative street furniture vision for a rebirth of contemporary cities in an ecofriendly and creative way and for the project of clever and democratic Smart Cities in which people can live and share. The project was curated by Torbjørn Anderssen and Espen Voll, from the prestigious Norwegian Design Studio Anderssen & Voll, which signed the most famous Vestre’s bestsellers. Core of the installation, natural materials, wood above all, in an exhibition that focused on multifunctionality, modularity and use of color: pieces of furniture designed to transform the urban public areas with dynamism, vitality and a strong design footprint. All of this in the name of social inclusiveness and sustainability: Vestre’s eco-friendly attitude is reflected in the design of climate-neutral products that boast a long life: in fact they can withstand even the hardest weather conditions and come with guarantees to prove it. In a history that began more than 70 years ago, Vestre has been able to create meeting places for millions of people: from Oslo to Stockholm, from London to Paris. 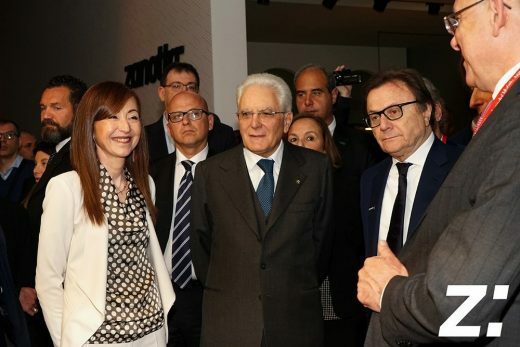 The head of State Sergio Mattarella, at the end of Salone del Mobile launch press conference, received by Giuliano Mosconi (President and CEO) and Eleonora Zanotta (Board member and Art Director), visited the Zanotta stand. For the Lombard company, active for over 60 years, it’s an official acknowledgement of the work done and an important encouragement in order to face the future. The President listened carefully, congratulated for the new collection and expressed esteem for the innovative exhibition space. April 4th, 2017 – Design and innovation office Carlo Ratti Associati, together with Milanese fab lab Opendot, have launched Lift-Bit — a shape-shifting sofa with embedded motion-tracking sensors that can be reconfigured remotely via an app. Imagine a piece of furniture you can remotely reconfigure with an app. 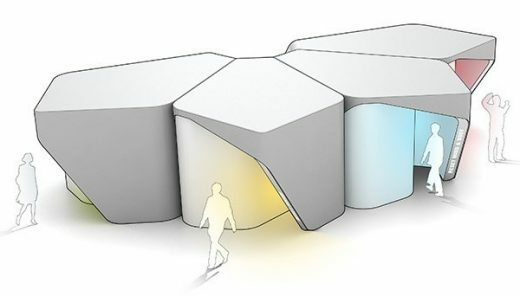 Imagine a sofa that reacts and autonomously adjust its shape when you get close to it. 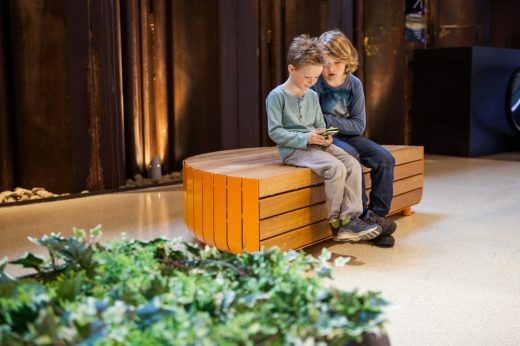 Imagine a seating system that can change form in infinite numbers of ways — and seamlessly turn into a bed, a chaise longue, a group of armchairs, or a playground for kids. 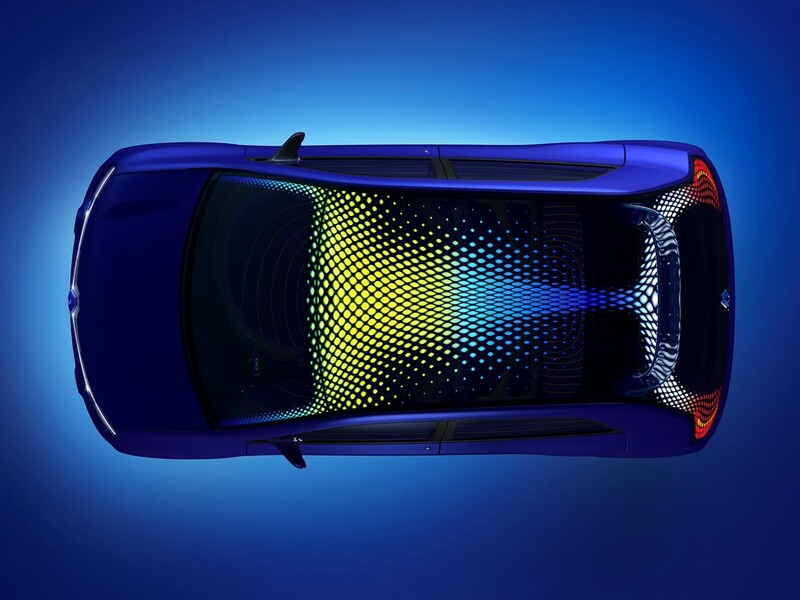 All of this is Lift-Bit — a project designed by Carlo Ratti Associati together with Opendot fab lab, that is unveiled during this year’s Milan Design Week, starting today (April 4th) at the Opendot space (via Tertulliano 70, Milan, Italy). Paying homage to radical British architect Cedric Price’s 1970s “Generator Project,” Lift-Bit is a modular, digitally reconfigurable furniture system that allows a sofa to turn into a chair, a bed, a lounge room, and an almost-endless set of configurations. 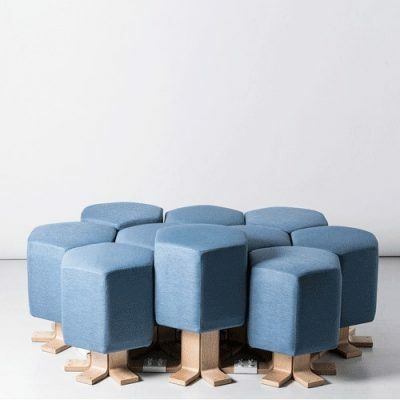 The system involves a collection of individual, upholstered stools that can be easily assembled together. 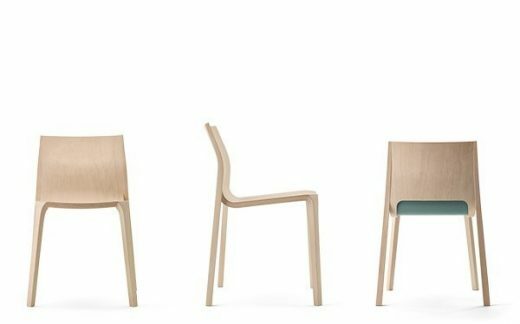 Unveiled as a prototype at the Milan Triennale in 2016, Lift-Bit officially debuts at Opendot space in a ready-for-production version, featuring sleek new legs in birch wood. For the first time ever, visitors are able to control Lift-Bit directly, shifting the individual stools’ height in any desired configuration – either with a hand gesture, or remotely through the use of Lift-Bit’s mobile app. The Lift-Bit app includes both a series of predetermined three- dimensional shapes and a tool to invent dynamic combinations. 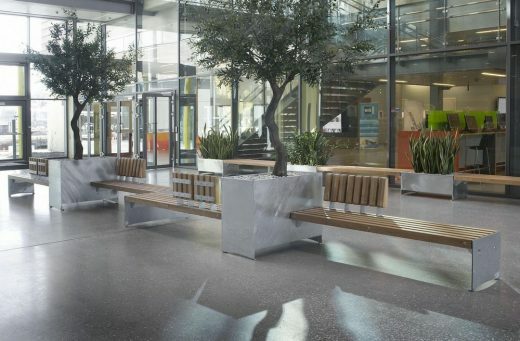 Furthermore, the seats’ soft texture embeds a capacitive control system, allowing each stool to sense the presence of a person’s hand close to it and start moving accordingly. By matching these technological elements with an elegant design, Lift-Bit makes it possible to reconfigure any or home or office setting, ushering in a new vision of interior design. “Lift-Bit gives people the possibility to actively contribute to the design of their own space. It is a participatory design, which never ceases to surprise you, and it surely cannot bore you”, says Alessandro Masserdotti, co- founder of Opendot, the Milan-based fab lab which contributed to the engineering of Lift-Bit. 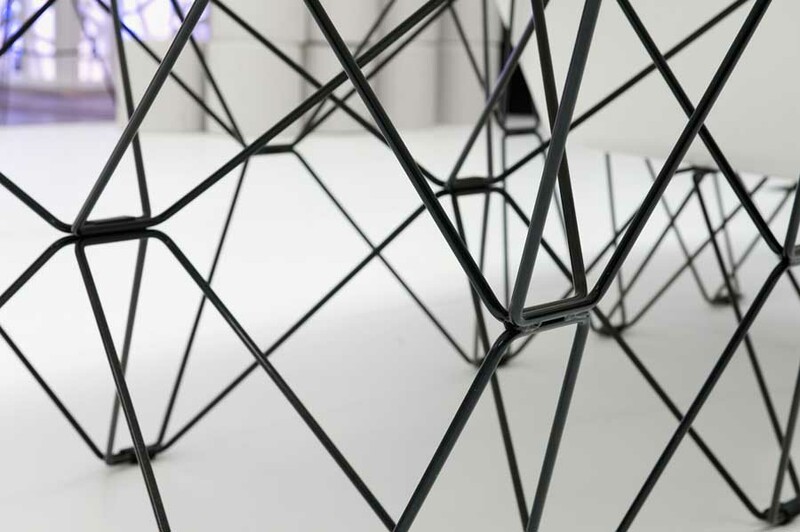 An early version of Lift-Bit, developed with the support of the Swiss manufacturer Vitra, was exhibited in Spring 2016 at the “Rooms. Novel Living Concepts” exhibition organized by Salone del Mobile Milano for the 21st Milan Triennale. Since then, Lift-Bit has gone viral, and has been exhibited at Linz’s Ars Electronica festival and at Weil am Rhein’s Vitra Design Museum (“Hello, Robot” exhibition, until May 2017). Lift-Bit was also a finalist in the FastCo Innovation by Design Award 2016. Lift-Bit is currently available for pre-order by customers worldwide. To join the waiting list or simply stay updated on the next phases of the production process, you can sign up at lift-bit.com. Lift-Bit is a project by Carlo Ratti Associati with Opendot. 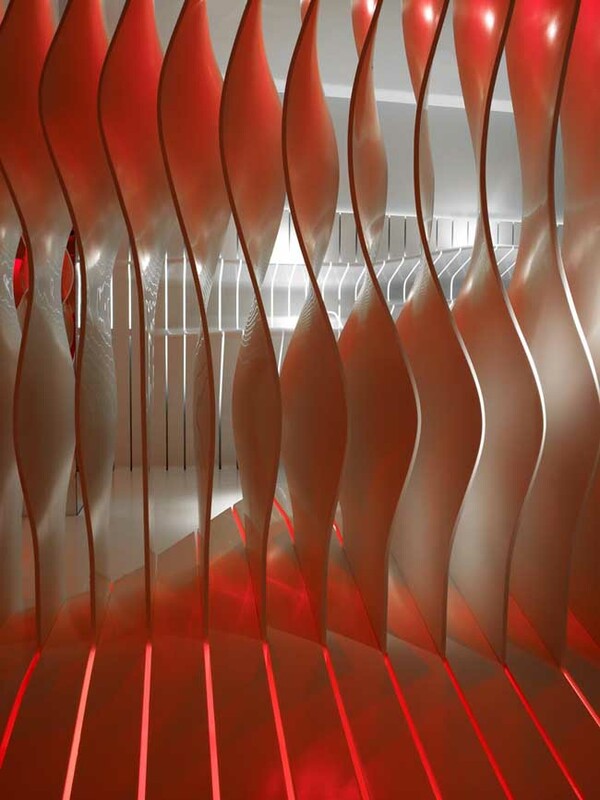 Carlo Ratti Associati is a design and innovation office based in Turin, Italy, with branches in Boston and London. 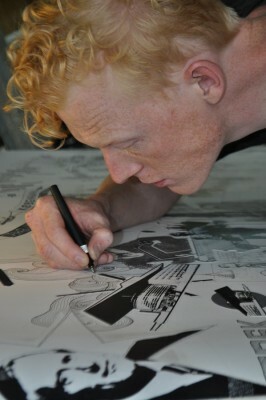 Drawing on Carlo Ratti’s research at the Massachusetts Institute of Technology, the office is currently involved in many projects across the globe. Embracing every scale of intervention – from furniture to urban planning – the work of the practice focuses on innovation in the built environment. Among recent projects there are the Future Food District thematic area at Milan World Expo 2015, the redesign of the Agnelli Foundation HQ in Turin, the master plan for the requalification of the Patrick Henry military village for IBA Heidelberg, the Pankhasari retreat in India’s Darjeeling, and the concept for a human-powered ‘Navigating Gym’ in Paris. Carlo Ratti Associati is the only design firm whose works have been featured twice in TIME Magazine’s Best Inventions of the Year list – respectively with the Digital Water Pavilion in 2007, and the Copenhagen Wheel in 2014. In the last years, the office has also been involved in the launch of Makr Shak, a startup producing the world’s first robotic bar system. Opendot is a fab lab and a place for research, experimentation and rapid prototype production. It is an open and accessible platform that intertwines different realities to produce innovation, by transferring, adopting and merging tangible existing entities, to make a change in the lives of people and business. Opendot initiates changes, identifying in the open source format and in technological know-how new opportunities for growth in the areas of training, design, production and research. Thanks to its multidisciplinary approach, Opendot is a reference point for companies that wish to implement their products and know-how through processes of innovative development. Opendot stemmed from interaction design company dotdotdot, a multidisciplinary design studio founded in Milan in 2004, that combines art and architecture with new technologies and new media. UNStudio and SCAPE are pleased to invite you to try out the prototypes for the RESET stress relief pods at the ‘Joyful Sense at Work’ exhibition in Milan. From April 3th to 9th, in the occasion of Fuorisalone and Salone del Mobile, Ceramica Sant’Agostino is glad to invite you to a series of events, all dedicated to design and architecture, for our lives. 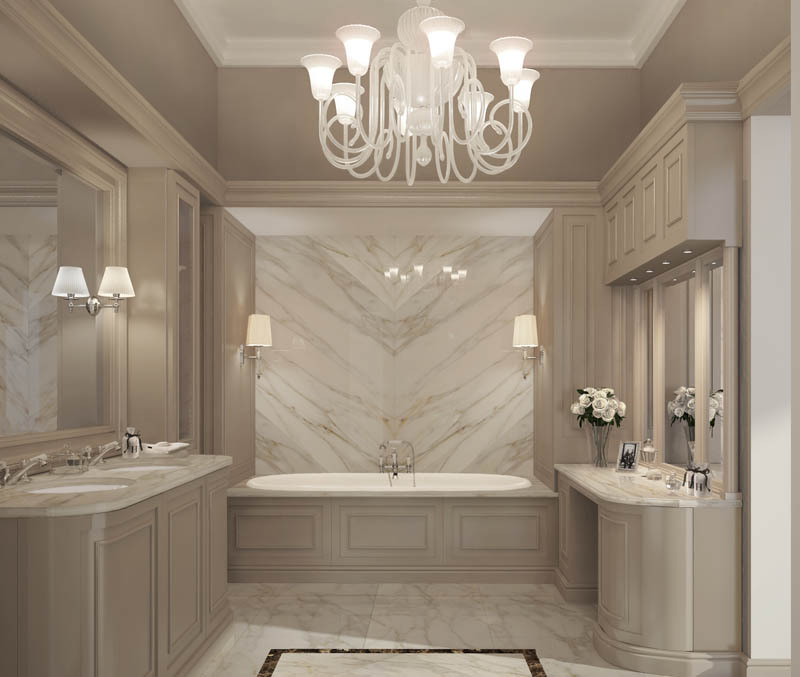 for one theme only: the relation between water and design. 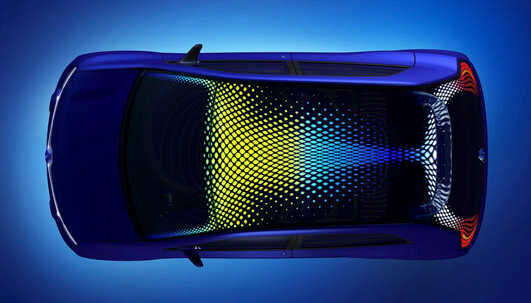 contest involving our DigitalArt fabric effect collection. 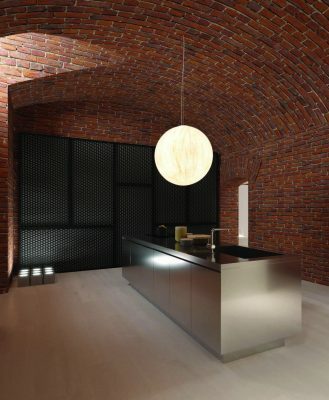 designed by architect Alfonso Femia / 5+1AA. 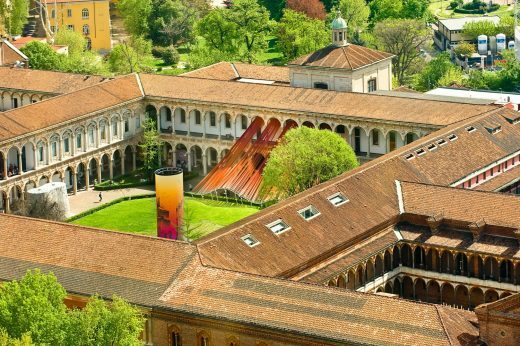 Two exhibitions by Fragile Milano hosted in the Via San Damiano, 2, Gallery on the occasion of the Milan Design Week 2017. Opening Party: Thursday, April 6th from 7:00 p.m.
ACME goes to Milan – a retrospective exhibition of the most iconic jewelry ever conceived by ACME STUDIO, an American avant-garde company which, fascinated by Italian Design, since 1985, collaborated with the leading figures of the movement, such as Ettore Sottsass, Alessandro Mendini, Peter Shire, Adrian Olabuenaga, Andrea Branzi, Beppe Caturegli, Aldo Cibic, George Sowden, Aldo Rossi, Martine Bedin, Michele De Lucchi, Natalie Du Pasquier and Matteo Thun. This exhibition fits perfectly with the series of events planned to celebrate Ettore Sottsass’s 100th birth anniversary, the latter being one of the main designers whose bold jewelry with impossible geometries are here exhibited. Selfie. Installation as self-representation – produced by Misiad and curated by Laura Agnoletto, the exhibition will be an opportunity to reflect on the theme of the selfie as self-representation in the world of interior design. Four great designers Massimiliano Adami, Alessandra Baldereschi, Marzio Rusconi Clerici and Paolo Ulian, have met this challenge realizing site-specific installations by exhibiting themselves, not through portraits or design objects, but by generating installations capable of dialogue with space, time and self-image. Fragile è lieta di invitarvi all’inaugurazione delle due iniziative che verranno ospitate nella nostra Galleria di Via San Damiano, 2, a Milano, durante la Design Week 2017. ACME goes to Milan – un percorso espositivo, curato da Adrian Olabuenaga, tra i più significativi gioielli realizzati da ACME STUDIO, azienda statunitense sensibile al fascino del design italiano, che, a partire dal 1985, ha dato vita a collaborazioni con i più importanti esponenti del movimento, quali Ettore Sottsass, Alessandro Mendini, Peter Shire, Adrian Olabuenaga, Andrea Branzi, Beppe Caturegli, Aldo Cibic, George Sowden, Aldo Rossi, Martine Bedin, Michele De Lucchi, Natalie Du Pasquier e Matteo Thun. Un’iniziativa inserita nel contesto del centenario della nascita di Ettore Sottsass, protagonista, tra gli altri, con i suoi audaci gioielli dalle geometrie impossibili, di questa retrospettiva. Selfie. 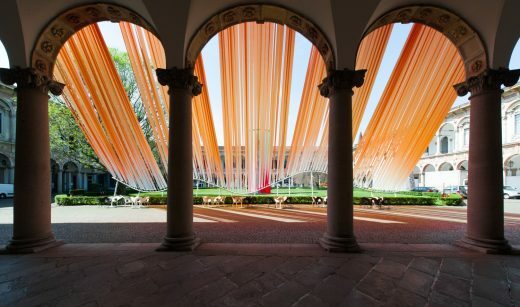 Installation as self-representation – la nuova mostra firmata Misiad, curata da Laura Agnoletto, un’occasione per riflettere sul tema del selfie, inteso come autorappresentazione, nel mondo dell’interior design. Quattro grandi designer, Massimiliano Adami, Alessandra Baldereschi, Marzio Rusconi Clerici e Paolo Ulian, realizzeranno installazioni site-specific mettendo in scena loro stessi, non attraverso ritratti o oggetti di design, ma generando installazioni capaci di dialogare con lo spazio, il tempo e l’immagine di sé. Young Belgian Creative Studio ISATI. welcomes you at Palazzo Litta during Salone Del Mobile, Milan. You will find them under the wings of Axalta Coating Systems, in the inspiring company of DAMN° Magazine and Mosca Partners. Sanwa Company is pleased to present its new project “Japanese Modern Vintage”, during the upcoming Milan Design Week 2017. 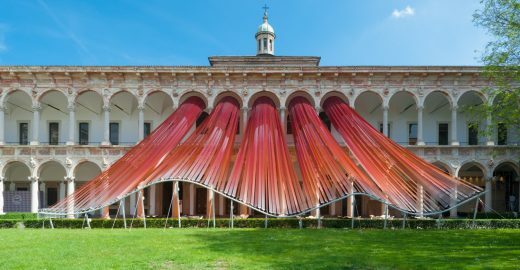 The eye-catching installation will be showcased in the upmarket location of “SolferinoLab”, in the Brera Design District. 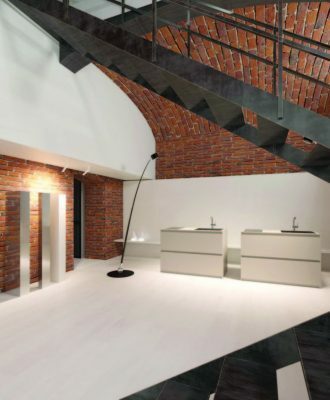 “Japanese Modern Vintage” is a contemporary concept of blending in vintage spaces and modern furniture, mixing past and future, thus creating a fashionable though intimate atmosphere, thanks also to the set up designed and curated by Bestetti Associati. 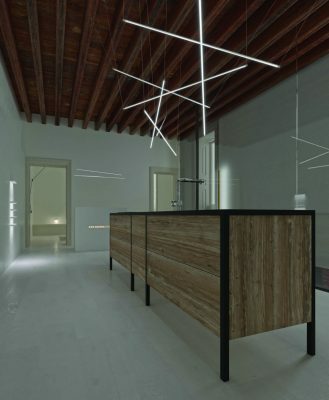 Davide Groppi’s lighting project completes the installation, enhancing the different spaces. A scenic setting able to highlight Sanwa Company statement: “modern in style – Japanese in spirit”. Are you ready to get Reset? UNStudio and SCAPE have joined forces with a multidisciplinary team of experts for the exhibition ‘Work 3.0 – A Joyful Sense at Work’ at this year’s Salone del Mobile in Milan. RESET (Responsive Emotional Transformation) is a fully immersive, modular structure that features scientifically proven stress reduction methods in a playful and interactive way. It is designed to empower people to deal with stress more effectively. 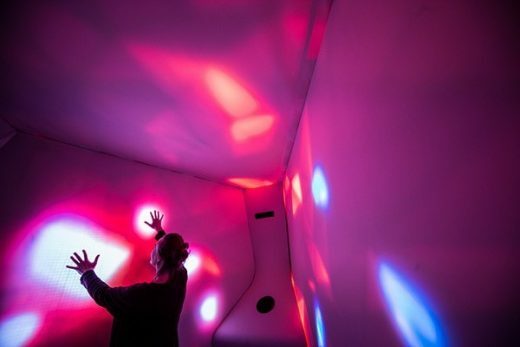 Two pods, housing the stress reduction methods ‘Intimacy’ and ‘Sound’, will be featured in the exhibition. Prior to experiencing the active versus passive experience, visitors watch a short introductory film and are fitted for both an Emotiv EEG brain sensor and an ECG heart monitor watch. Once the sensors are reading, they are ready to go. RESET serves dual goals. Firstly, the installation teaches us which stress reduction method works best for different individuals. Secondly, the sensors trace visitors’ response to the stress reduction ex-periences and provide real-time ‘factual’ feedback. Pavilion 24 (next to the SaloneSatellite). The new chair ‘Contour’, designed by Ben van Berkel/UNStudio for Spanish furniture brand Ondarreta, will be showcased for the first time in Milan this year. For Contour, UNStudio and Ondarreta have fused traditional wood bending techniques and technical know-how with contemporary design. The chair design plays with functional ergonomic surfaces that dynamically transform into structural frame components. 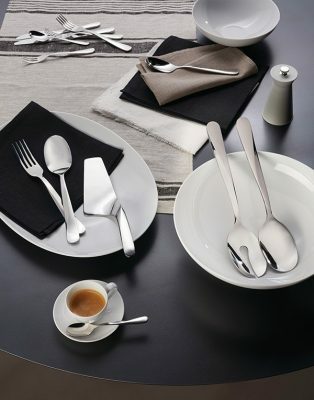 During the Salone del Mobile the new Giro cutlery set will be on show at the Alessi Flagship Store, along with their Spring/Summer Collection 2017. Our Ribbon wine rack will also be on display. From Tuesday 4th to Saturday 8th: 10 a.m. to 8 p.m.
Sunday 9th: 11 a.m. to 7 p.m.
Over the course of the last eight years, Christian Richter has visited and photographed more than a thousand abandoned buildings in countries including Germany, France, Italy and Poland. His journey has taken him to ancient churches, cinemas, theatres, factories, tenements and noble dwellings in search of their very soul, free to emerge precisely because man has abandoned them to rack and ruin, making way for a purely poetic dimension utterly devoid of functional and social purpose. Richter began photographing abandoned places after the fall of the Berlin Wall, when whole areas of the GDR – where he was born and where he grew up – were emptied of people and activities or underwent swingeing change. Discovering the secret histories of these spaces – at exactly the magical point when nature and ruins are beginning to take the upper hand, but aren’t yet past their best – has become something of an obsession for the photographer, in a bid to encapsulate this melancholy beauty before it is gone for ever. Richter says this about his research: “I have to go to a lot of places with my camera -Canon D5 mostly with a wide angle 16-35 mm by the way – to get one good image or find something that excites me – many of them are just empty and not particularly beautiful. I’ve travelled long distances to see a building and then found it’s been torn down, or I simply couldn’t get in. Sometimes I can tell there might be something special inside, but it’s more like a game of chance – maybe I’ll find something, maybe I won’t. […] These places aren’t graves, they’re secret histories, waiting to be read”.Richter has decided never to reveal the locations of his photos so as to protect these places as much as possible from human encroachment. The financial crisis and the advent of the sharing economy are impacting significantly on the evolution of people’s behaviours and lifestyles, especially those in the younger age brackets. The so-called Millennials, or representatives of what is known as Generation Y, have embraced concepts such as sharing and immediate and unrestricted “access” in relation to goods and services. Homes and lifestyles are no exception to what could be seen as the steady “uberisation” of all aspects of consumption. The leading international urban centres are seeing the inception of new habitative formulae, marking the passage from the concept of “living” implying “ownership” to the concept of “living” implying “service”.The soaring costs of living in the great cities, mortgages requiring increasingly substantial guarantees, contracts that are often inflexible, and a widespread fall in disposable income are also fuelling the spread of on-demand models in the housing field. Living As A Service, or its acronym LAAS, means precisely that – just like services such as Uber, Netflix and Kindle; in addition to traditional house buying or renting solutions, there is now a “subscription” option. Article in full: Salone del Mobile 2017 – Trend Research: Shared House. You are all invited to the booth at the Salone Internazionale del Mobile in Milan from the 04th to the 09th of April. Exhibited will be a new collections, Primo by Konstantin Grcic and Quindici by Ronan & Erwan Bouroullec, and the new additions to the Tronco collection by Sam Hecht/Industrial Facility and to the Uncino collection by Ronan & Erwan Bouroullec. serão exibidas de forma singular criando ambientes distintos. Descubra toda a informação no nosso press release. Visite-nos no Hall 1, Stand M14 e conheça as nossas novidades e coleções. Apr. 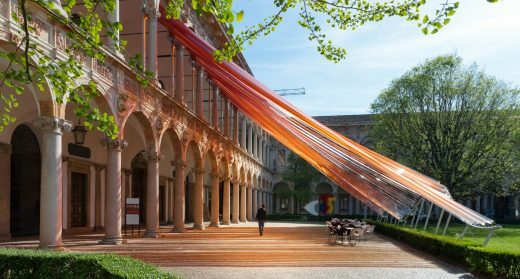 12th, Milan – MAD Architects creates a translucent installation for the 2016 Milan Design Week in the traditional Cortile d’Onore courtyard of Università degli Studi di Milano. 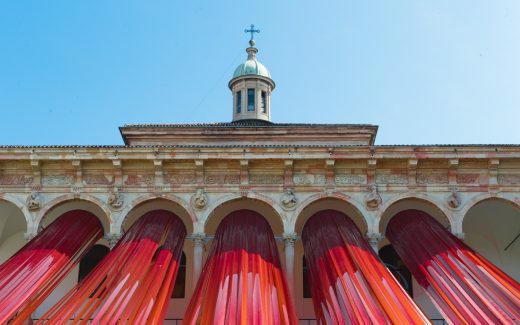 The installation is a part of the “Open Borders” exhibition, curated by the Italian magazine Interni. MAD’s contribution, entitled “Invisible Border”, alters the perception of space.